I regularly use images in presentations. Pictures can be a great way to share a particular message, or can be used to create the imagery I am trying convey. But sometimes I want my images to have a little extra umph. I want to be able to use one image and have it contain lots of information. Thinglink allows you to upload an image, grab one from Facebook, import from Flickr or use a picture from the web. Then you tag the parts and pieces of the image with links, videos, embeds and more. 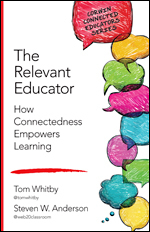 So I took an image of Tom Whitby and I doing a talk a few years back in NYC at the #140Edu Conference. So you can see here, I've clicked a place on the image to tag it. Then I can insert a link to a website, video or really anything. It's really super easy. If it's not working for you in the embed, you can visit the completed image here. And sharing is easy. You can embed, as I've done here. Or you can share via the traditional social networks like Facebook or Twitter. And they've made it super easy to share to Edmodo too. Signing up is fast and easy. And I was able to upgrade to an Educator account with ease giving me a few more features. But what is super awesome is ThingLink is now offering free EDU Premium Accounts for teachers, a value of $250! ALL new teacher accounts that are created before the end of December will have access to Thinglink Premium features including custom icons, image carousels and stats, the ability to create classroom groups and much more! There’s even a Thinglink app for Android and iOS devices! If you already have a Thinglink account—no problem! Just be sure to email #premium to education@thinglink.com. Write ThingLink EDU Campaign in the subject line. If you do not have a ThingLink account, simply create one with the email you responded to the promotion with. So you can't beat free and you can't beat a free upgrade with loads of features. Head over to ThingLink to learn more and sign up today! Remember, it was Connected Educators Month. It was the time to celebrate what it meant to be a connected educator and to help other educators get connected. There were some great events, book clubs, conversations and even a Twitter chat with U.S. Secretary of Education, Arne Duncan. All in all, it was a great success. I truly enjoy the idea of a month dedicated to connected educators, especially when it has the weight of the White House behind it. But a month really isn't enough. These are conversations that need to to happen every month, every week, every day of the year. Maybe you are newly connected and don't really know where to go from here. Or maybe you've been connected for a while but aren't sure what to do. Why Am I Connected? Being connected is one of the most important aspects of my professional being. Not a day goes by that I don't rely on someone or something from my connections. Being connected challenges me, everyday. Being connected pushes me, everyday. Being connected helps me grow, everyday. Being a connected educator is part of me, both professionally and personally and I could not imagine myself otherwise. So ask yourself, why are you connected? What Can I Do To Be More Connected? There were lots of events in October that helped you get connected, or more connected. The twice-daily emails were a great way to keep in touch with all the learning that was happening. But now the emails have ended. So how can you continue the moment and keep growing those connections? Check Out The Connected Educators Month Website. Yep. There are still tons of events on the calendar and you can get hooked up with the EdConnectr and continue conversations or start new ones. Twitter Chats. I've talked a lot about Twitter chats. But seriously. Check out the Edu Twitter Chat Calendar and take part. Lurk and Learn. There is power in just lurking. Lurk on Twitter. Lurk on other educational social networks. Listen to other conversations. See what others are talking about. I bet, in a short time, you will want to jump in and provide your two cents. How Can I Help Someone Else To Be Connected? To put it simply, once we are connected, we should help as many others get connected too. That can be a lot of pressure. So work one just one colleague. Send them some resources you found on Classroom 2.0. Tell them about a link you saw on a Twitter chat. Help them start a blog. Nurture someone elses connected learning by helping seed their development. Don't know where to start? The resource kits on the CEM website can help. So while it may not be October any more, we can still celebrate the connected educator and grow ourselves and those educators around us. Recently ASCD released several short books that are aimed at packing a big punch in a small package. Each are less that 100 pages but have loads of quality information. Over the next few posts we will look at each one to see what they are all about. Then we will give away 1 copy of each. Sound like fun? In the first post we took a look at Fostering Grit. Then we examined Teaching With Tablets and Grading and Group Work. This time we look at The 5-Minute Teacher. In my first few years of teaching I always felt stress on Sundays. That was the day I sat down with all my textbooks and plan books and decided on what I would teach for the week. My classes were divided into 60 min chunks. My stress came from trying to figure out how I would fill each one of those minutes. I had units and lessons I would plan I knew would take days but I didn't have days. On the flip side I had lessons I knew would take only minutes, then what would I do with the rest of the time? Later on I learned different methods and strategies along the way that would help alleviate some of the stress of planning (like my adoption of formative assessments among other things.) But it took me several years and trial and error to feel comfortable. Enter Mark Barnes and the ASCD Arias Book The 5-Minute Teacher. We have just a precious few moments to engage our students in learning. Mark argues that 5 minutes can make all the difference. "I've learned that the hard way. It's the structure of the student-centered classroom that creates a powerful, exciting learning environment that students actually enjoy. The so called five-minute teacher-who should be nearly invisible-is part of the fun...Five minutes can be the most important part of the students' day. When students are poised to learn something new, five-minutes can prepare them for experiences that open doors and open minds. The trick is making those five minutes count." Mark goes on to offer suggestions on making those five minutes count. Like the use of video to serve as a springboard to conversation or opening class with guiding questions that get kids thinking. He also explains the concept of being a guide on the side, being a coach rather than a teacher. As Mark points out (and I agree) when you move from teacher to coach you allow for more student direction in learning. There is also a great section on helping teachers develop their own Toolkit of Student Driven activities. Mark offers several suggestions for technologies and platforms that can help promote student-centered learning and engage students during and after the five minutes. Like the other ASCD Arias books, this was a quick and easy read, full of great ideas and suggestions to turn it up a notch in the classroom. For $6.99 for the digital edition this is a great edition to any professional library. This week (October 29-October 31) I am in Doha, Qatar, attending the WISE Summit. Folks from over 100 countries are gathered to talk about what is working in education, examine current trends and discuss how countries can work better together, to provide kids everywhere a solid education. After the amazing experience last year, there was no question I was headed back when I was asked to return. The conference is full of some of the brightest minds and best conversations. But you don't need to head to Doha to participate. You can add your voice to the conversation no matter where you are. Website: http://www.wise-qatar.org/ Here you will find everything WISE. When the conference gets underway you will also be able to tap into what is happening at the conference. WISE Livestreams: http://www.wise-qatar.org/wise-summit-2013#tabs-9 You don't have to be in Doha to participate. All the major sessions are livestreamed and you can add your thoughts, ideas and reflections too. WISE Polls: http://www.wise-qatar.org/wise-summit-2013#tabs-6 The polls are simple. Pressing questions in education are raised here. MOOCs, STEM education, data gathering, and more. The questions and responses will be shared and discusses at the summit. WISE Infographics: http://www.wise-qatar.org/wise-summit-2013#tabs-7 Who doesn't like a great infographic? The folks at WISE have created some great ones to share. Everything from how money is spent on Education from around the world to more serious issues like the number of children who are trying to get a solid education in conflict zones. These infographics can serve as a starting point for conversations and help us see education is no just something to think about at the local level, it's a global issue. There will be lots of discussions on Twitter too. You can follow @wise_tweets or the #WISE13 hashtag. If this year's summit is half as good as the one last year, there is sure to be some great learning and reflections happening. I hope you can join in, no matter where you are! When it comes to mobile learning there are loads of great sites for apps for kids and teachers. Everything from apps organized by Revised Bloom’s Taxonomy to apps organized by grade level and subject area. It can be daunting to sort through all those apps to find the special ones for learning something new or curating information. 1) Google Drive-Where would I be without Google Drive and Google Docs? Lost I am sure. My life is spent editing and creating documents, presentations and spreadsheets. And the ability to share those easily makes Google Docs my go-to app for editing, not only at the computer but on the go as well. I can edit, comment and view all my documents from this app, no matter where I am. 2) Dropbox-For those items I can’t keep in Google Docs, I use Dropbox. The app gives you access to all your files stored in the cloud so you can retrieve them, email them, view them, and show them, again, no matter where you are. 3) Adobe Ideas- You never know when a great idea is going to strike. Adobe Ideas is always at the ready to capture a drawing, sketch, list or what ever you need. 4) Pocket-I am a huge, huge fan of this app. Whenever you are reading a blog or come across a webpage that you just don’t have time to check out or don’t want to save it to your booksmarks before you have a chance to look at it, you can Pocket. Adding items to your list is easy as a checkmark in the address bar and the app gives you online and offline access to your entire list. 5) Diigo-Once you read all those saves in your pocket app, you need a way to curate them and retrieve them later. Diigo is that tool. Add to your library, tag and save. You can do everything from the app. Oh and you get the highlighter and clipping functions too. I use this one a lot from my tablets simply because I can curate anywhere I happen to be. 6) Google Hangouts-I like having an office, because I can duck in there and shut the door and get some work done. But let's face it, out in the world is where we should be. Google Hangouts lets me untether myself from my office and have a meeting, learning session or just conversation anywhere. The ability to video chat with up to 9 other folks is a big advantage and we can document share, desktop share and more. The best part? I am mobile so I can do it from anywhere and still take part in the learning! 7) Zite-This is a Social Aggregator that takes topics you decide and pulls the most relevant stories related to those topics. They are then presenting and a pretty neat magazine format. And you can share what you read via Twitter, Facebook and email. So you can keep up with topics in education and share them with ease. 8) Google Translate-In many of our schools English might not be the main language spoken. The Google Translate app is great for helping to break the language barrier with students and staff and you can put in text and get instant translations for emails and documents. And, you might just be able to teach yourself too. 9) TED-These are inspiring talks given from some of the brightest minds on the planet. This app gives you access to the entire directory. You can use the TED talks build morale and challenge the thinking of your staff and students. 10) Dragon Dictation-Let’s face it, sometimes typing on the iPad can be challenging. Dragon Dictation does it all for you. Using the built-in mic you can dictate memos, documents, blog posts and more. There are loads more apps out there for all different sorts of uses. Check out this post to learn more about how you can get more mileage out of your mobile learning device. What are your favorite apps for learning and curating. Leave some suggestions in the comments below! Computer/table/whatever Internet-connected device you have in front of you. The world (and learning) at your fingertips. Connected Educator Month Events-This month is full of activities put on by many different organizations. The CEM Events calendar is the place to visit if you want to join a virtual book club, find a Twitter chat or see what sorts of other virtual learning events are happening. There is so much to do. In fact there are events every single day. Some lasting only small amounts of time so you really can learn anywhere, any time. 2013 Reform Symposium (RSCON)- You couldn't ask for a better put on event. Starting Oct 11 and running almost 24 hrs a day for 3 days, this online conference features folks like Sugata Mitra, John Spencer, Chris Lehmann and many, many more. There are individual sessions and lots of smart panels too. (Including one that I am on talking about Transforming Education with Technology.Although I don't know how smart I am.) So many learning opportunities, you really do have to check it out to see just how awesome it is. Library 2.0 Virtual Conference-While this one may not seem like its for everyone, secretly, it really is. The heart of any school is the library or media center. There is lots all of us in education could learn from our media folks. Check out the great collection of free sessions here too. Runs online Oct 18-19. Global Education Conference-This free, week-long online event is going into it's fourth year and it's huge. Many, many hours a day for a week, sessions from around the globe on just about any topic you can think of, this event is one that you can definitely drop in on when you can. And when you do, you will learn so much your brain will hurt. Check them out Nov 18-22. These events are great because any one can take part from anywhere as long as you have a connection. But face-to-face learning is important too. I love Edcamps and the types of PD that take place there. The Edcamp Wiki Calendar has a listing of all the upcoming camps. Just in the next few weeks there are Edcamps in Chicago, Hawaii (Can I go? ), Brooklyn NY, Green Bay, Mumbai India and more. Many of these camps have hashtags you can follow so while you may not be able to get to one of these in person, you can follow along. Be sure to check out the calendar for an Edcamp coming soon to you. Don't see one? Start your own! Can't get to an Edcamp F2F? Check out Edcamp Online, an all-day virtual Edcamp. I can't wait to see and be a part of this one! Bottom line, there is loads of learning out there in the next few weeks, ripe for the taking. So seek out something, learn something and share something! Have an event I missed? Leave it in the comments below! Recently ASCD released 4 short books that are aimed at packing a big punch in a small package. Each are less that 100 pages but have loads of quality information. Over the next few posts we will look at each one to see what they are all about. Then we will give away 1 copy of each. Sound like fun? In the first post we took a look at Fostering Grit. Then we examined Teaching With Tablets. In this post we dive deep with Grading and Group Work. Before I became a teacher it was ingrained it me in my Teacher Ed program that group work was the way to go. Students are social creatures and should be working together. After all we want to help foster learning that is collaborative because that is what the real-world is like. So, thats what I did. As a science teacher it made sense. Each group could work on their set of experiments and we could do data comparisons across groups. It was perfect. Then came the time for me to give the students a grade. (You know, because at the time, that is what I had to do.) And I really struggled. I knew not every student did equal work. But did they all deserve an equal grade? Do I let them grade each other? Rubrics? I used various methods some successful, some not so much. Enter Grading and Group Work. In this ASCD Arias book, Susan Brookhart breaks down the essentials for just that; grading and group work. As the subtitle says: "How do I assess individual learning when students work together?" this book provides insight into the group learning process and offers suggestions for making group learning a success. One aspect I really enjoyed was the distinction between Group Work and Cooperative Learning. As Brookhart points out, cooperative learning is highlighted by students working together on something (project, assignment, etc) but each student is accountable for their own work. Rather in group work is students working together on a singular project or assignment. And she says, while it is easy to assign group grades in these cases, we don't have to. We just have to be creative with our formative assessments throughout the process to ascertain individual learning. The heart of the book is the how-to individually assess students who are working in groups. Brookhart covers everything from oral conferences (which I think are a wonderful idea) to student reflections on their learning (written), to summative assessments that have precise, well-designed questions, she offers several, well-crafted solutions to really get to the heart of the assessment process in group learning. In the back of the book, Brookhart gives several reflection questions to consider when grouping students, a checklist of quick-wins to look for and a collection of websites for learning more about effective student group learning. In an age where we are placing more and more emphasis on individual student learning and providing more opportunities for students to collaborate on their learning, effective assessments of individual learning may prove to be challenging. But they don't have to be, as Brookhart points out. You can learn more about Grading and Group Work here. As with all the ASCD Arias, this one is a short and easy read. At 41 pages you can finish this one in a planning period and be well on your way to more effective assessment in group learning. "Alone we are smart but together we are brilliant." October has been declared by the U.S. Department of Education to be Connected Educator Month. Started in 2012, an entire month of webinars, blog posts, ideas, discussions and more are dedicated to increasing awareness of the importance of educators to get connected. I have been honored to be a part of the planning process and give input and ideas to the entire team that is working tirelessly to promote various events, tools and resources for educators to use throughout October. What do you need to know about Connected Educator Month? While the calendar on my laptop says September, events have already begun. One of the first things you will want to check out is the Connected Educators Calendar. There you can see all the events planned for everyday of the month. Running an Edcamp in your area? Doing some free, open PD for others? Hosting a Twitter Chat? You can add your events to the calendar too. One thing that can be tough to do is explain what exactly a connected educator is and why it matters. Back in June, myself and several colleagues sat down to do just that. What came about was a short video you can use to help kick off events in your school or district. Another set of resources you want to be sure to take some time to check out are the Starter-Kits. And there are 2 specifically you don't want to miss. The CEM Starter-Kit, created by Powerful Learning Practice is full of introductions to what it means to be a connected educator, terms, places to go and is filled to the brim with sites, stories and more. The other not-to-miss resource is the District Starter-Kit. Developed with school districts in mind, this resource has everything you need to run CEM events in your schools and districts. Presentations, links, ideas and suggestions, it has it all. Lastly, you will want to create a free profile and spend some time on edConnectr. This is a social network for the new and not so new connected educator. There you can ask questions, find virtual events or connect with others who, just like you are starting out, or looking for others to learn from. While every month should be Connected Educators Month, I am excited (and proud) of all the events, objects and resources included in this year's event. Be sure to check out the entire CEM website and remember, words are important actions mean so much more. If you are already connected, pledge to help 10 other educators get connected. And if you aren't connected pledge to take a look and see the wonderful possibilities for learning that can happen when you do. Recently ASCD released 4 short books that are aimed at packing a big punch in a small package. Each are less that 100 pages but have loads of quality information. Over the next few posts we will look at each one to see what they are all about. Then we will give away 1 copy of each. Sound like fun? In the first post we took a look at Fostering Grit. Today we take a look at Teaching With Tablets. It seems like more and more classrooms, schools and districts are embracing and utilizing tablets for learning. Even Microsoft got in on the act at ISTE this year giving away a Surface RT to nearly every attendee at the conference. In my district we have many schools buying iPads and Android devices for everything from teacher productivity tools to class sets that will be used in reading and mathematics interventions. Tablets are full of possibilities. With the proliferation of apps and app stores it is easy to take a device out of the box and make it do pretty much whatever you want. But the biggest question I still grapple with, especially with Administrators is what are you going to do with them? They know they have to have them, but don't really have a plan as to what they want to do with them. The ASCD Arias Teaching With Tablets should be required reading for anyone who is considering buying tablets for the classroom or for anyone trying to figure out how to use them. The authors have skillfully laid out simple considerations and plans for anyone looking to integrate these devices into their classroom. In addition to the suggestions for use and ideas for integration, they do caution (smartly I might add) that it is easy to use tablets as substitutes for worksheets or other isolating activities. We have to use the technology in a smart way and use it when appropriate. Just because we have the access, doesn't mean we always have to use it. One of the things I like best in this Arias is the checklist in the back. Used for planning and reflection, the teacher really has to consider the use of the technology during the lesson and consider afterwards things like data collection and formative assessment. For example, to start the checklist asks the teacher to "Establish Purpose" by reflecting upon what is it you want students to do in the lesson in general broken into content purpose, language purpose and social purpose. It really forces, in the planning process that the technology is something that should help achieve those goals and not be the focus of the lesson. This Arias, is short. At 46 pages this is a super quick read. But don't be fooled by it's length. There is great and practical information packed into those pages. At at $7 for the eBook it's a bargain. What to learn more about Teaching With Tablets or any of the other ASCD Arias series? Visit this page to learn more! Recently ASCD released 4 short books that are aimed at packing a big punch in a small package. Each are less that 100 pages but have loads of quality information. Over the next few posts we will look at each one to see what they are all about. Then we will give away 1 copy of each. Sound like fun? Whenever I hear the word Grit I think of the John Wayne movie True Grit. I see John Wayne's character helping the young lady find the person who took her father. And nothing was going to stop him from achieving his goal. Thomas Hoerr takes this same point of view in his ASCD Arias book, Fostering Grit. As he points out learning is more than our core subjects that students need to succeed. Learning means developing Grit. This is the tenacity, perseverance, and willingness to take risks and learn from failure. Accompanying each of these steps are real-classroom examples of how to achieve this. For example in "Create The Frustration" Hoerr points out that when completing tasks it is easy for frustration to take over when we fear failure or don't have the correct knowledge set to complete the task. Hoerr offers suggestions to ease students into the frustration like focusing all effort for 5 minutes. At the end of 5 mins if success is had, keep going. If it isn't, step back and reflect on what different effort is needed. Also included is a ready-to-go lesson plan that can be modified to be used in most every grade level to help students understand grit and how to use grit to their advantage. I absolutely love the Arias because of their short yet fully covered subject matter. Fostering Grit does not disappoint. At 38 pages its a quick read but the takeaways are immediate and impactful. And while Hoerr focuses on fostering grit in students there is something here that could be used by teachers and administrators as well. It is definitely a multipurpose book. You can check out Fostering Grit here. At $7 for the eBook I think the cost is well worth the learning. Definitely check it out! Did you really watch the video or are you just keeping reading? Come on, watch it. I promise you will like it. 1) Do you have guts? This guy is my hero. He felt something inside his soul. The music made him want to move. He didn't care what others would think. He got up and started moving. Kinda like in schools sometimes. Being the first person to stand up and dance is risky but often times it starts a movement. We have to have guts to be a leader. Leading is tough and standing up for what is right (which often isn't what everyone believes in) takes guts. 2) Are you easy to follow? The leadership Dancing Guy provides is instructional almost, as the video points out. So from the very beginning people watching know it is going to be easy to mimic. Kinda like schools sometimes. Leaders need to lead in a way that is easy for others to follow. Nothing complex. And being followed shouldn't be a difficult task. Just simple leadership to drive change. 3) Do You Lead Publicly? When the first follower decides to embrace the leadership, Dancing Guy doesn't just keep doing. He shows the follower how to do the dance. He embraces the follower and wants him to feel as good as he does. Kinda like schools sometimes. When we want people to follow, we not only need to be easy to follow but we need to do it in a way that is easy for others to embrace. Sometimes that means showing them. Modeling good leadership is an important skill to master. Like the video says, "he embraces the follower as an equal. So it's not about the leader any more." Leading publically means more than just in the classroom or in the building. Leading means connecting with other leaders to discuss and debate. We have to look beyond our walls and seek out those connections. 4) Is Your Movement Public? Once that first follower follows and they both are embracing the dance others begin to join in. Their (notice is plural now) leadership is public and then becomes a movement. And that movement is public for all to see. Kinda like schools sometimes. If the leadership wants to gain momentum and followers we have to make our movements public. Using social media tools can help. Showing what you are doing on your school Facebook page or Twitter account, posting videos to You Tube about the movement, talking to others. The more open your movement, the easier it is for more followers to join in. Like the video says, " Everyone needs to see the followers because followers emulate followers, not the leader." 5) Momentum...So once we get 2 then 3 then more followers the momentum takes over and the movement is in full force. More and more people join in and then the tipping point. This is the time at which people feel compelled to join in because there are more followers now than watchers. Kinda like schools sometimes. Once the movement gains steam and more and more followers join there comes a point at which people feel they have to join. They don't want to be "that guy" looking from the sidelines while the movement passes them by. So if we include the ideas from above, if our movement is public and we are modeling what we want and we foster leadership in others than it is that much easier to lead. It actually takes care of itself doesn't it? So as we begin the school year, take some time and examine your leadership and the ultimate question to ask yourself, are you a lone nut? This post is part of Scott McLeod's Leadership Day 2013, were bloggers write about leadership in education. Definitely check out the other posts in the series. 1) Collaborative Learning With Edmodo- Here we took a look at what Edmodo is and how you can use it to create a collaborative online space in your classroom. There are some resources there to get you started. Oh and just last week was Edmodocon, a one-day conference where teachers from all over shared how they are using Edmodo. So bonus! More resources. 2) Learning With Hashtags- One of my favorite topics to talk about is hashtags on Twitter. The hashtag is so powerful and you don't even have to have a Twitter account to unleash their power. In this post we take a look at just how to use hashtags to their full potential. 3) TED Talks For Learning- Most everyone has seen a TED video. (If you haven't, then this is the post for you!) These are my favorite TED Talks to start conversation or to get folks thinking about a wide variety of topics like mathematics, computer science, leadership and more. 4) All About Twitter Chats-As a follow-up to the post on Hashtags I discuss on of the most popular Twitter chats, #edchat. More generally give some tips on participating in a Twitter chat and give some of my favorite chats to lurk in on. 5) Doing More With YouTube-There is more to YouTube than just videos. Here we look at some great tools to quiet the distractions, edit videos, or use videos to collaborate. 6) Curating With Diigo-Information literacy is more than understanding where our resources come from. It's also about organizing that information so others can use it too. 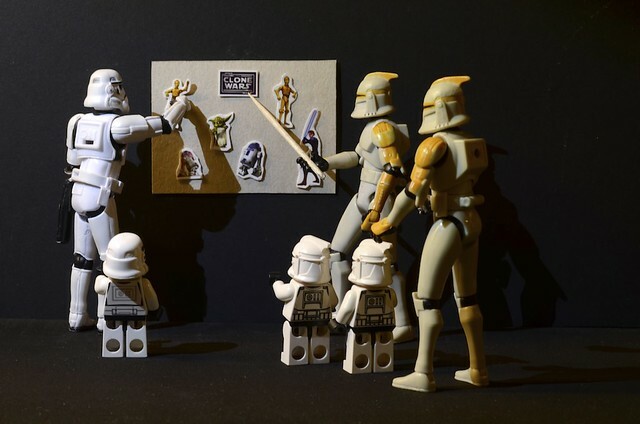 Curation is an important part of learning. To make that job easier we take a look at Diigo and all the great features there for educators. 7) Starting A Classroom or School Twitter Account- In keeping with the Twitter theme I offer up some things to consider if you want to use Twitter in the classroom or in your school. There might just be some things you haven't thought about. 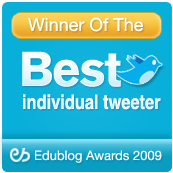 Oh and if you want some ideas on how others are using Twitter in the classroom, you can find that here too. 8) Giving Evernote A Try-Their motto is true to life. "Remember Everything." That is exactly what Evernote does. Here we look at what Evernote is, how I am using it and how you can do more with it. 9) Putting The Internet To Work For You With IFTTT-You can spend a lot of time make sure files are backed up, pictures synced or tons of other things. If This, Then That, can automate a lot of things that happen on the Internet for you. Comes in handy if you have multiple devices in many locations that all need the same information on them. 10) Keeping In Touch With Remind101-Many are turning to texting to keep in touch. That can be great but Remind101 makes it easy and safe. No exchange of numbers and lot of great features. So there they are. The 10 Summer Learning Series posts. But don't let the title fool you. While these are great tools, tips and tricks to learn during the summer, you could spend some time with them during the school year too. Spend 1 week on each of them and you've got almost 3 months of learning you, your colleagues and your friends could undertake. This is the tenth and final post in my Summer Learning Series. These are short posts with tools, tips and resources for you to try something new this summer or something you can take to the classroom in the Fall. First was Collaborative Learning With Edmodo and then we followed up with Learning With Hashtags. Then we looked at TED Talks. We moved on to Twitter chats. Then we looked at some pretty neat things you can do with YouTube. Then we took a look at Diigo and how to curate the information you are finding this summer. Then we examined the things to consider if you want to use Twitter in your classroom or your school in the coming school year. Last week we examined a tool I can't live without, Evernote. Then we saw how we can automate the internet and take many of the tools in the Summer Learning Series to the next level with If This, Then That. Now we wrap up with a great way to keep your classroom in touch and on top of things with Remind101. When I was teaching in the classroom I always had some trouble keeping in touch. It wasn't for a lack of effort. Whenever we had a project, homework, assessment or we needed something special for an experiment we were doing I would send home papers, put things on my website and make lists on the board in my classroom. The papers probably never made it home. Hardly anyone was checking my website. And there was always that prankster that erased the lists on the board. If I was teaching today, there are loads of options now to bridge those communication gaps. Twitter and Facebook are 2 popular ways. But for some in our communities, they may not be connected that way. Texting could work. So why don't you start your first day of school and put up your personal cell phone number on the board. Oh and they why don't you get the personal cell phone number of all your students. Sure. In many places there are policies and rules that prevent that kind of information exchange. Hence the reason for, hands down, one of my favorite tools out there. In it's simplest form you create a free Remind101 account. You then are give a code and a number that your kids (and parents) use to sign up their cell phone number. Once registered, you can send those reminders, homeworks, and everything else via text message and you never see the phone numbers of the members of your groups and they don't see yours. There is so much you can do. Send reminders right away or schedule them for later. Even messages you already sent can be sent again just to make sure everyone has it. They have apps for iOS and Android so parents and students never have to visit the Remind101 website to join your class and it makes it easy to keep track of all the messages. Messages are one-way (Teacher to class) and no individual messages can be sent. So it makes it safe to use. All messages are archived so if your district is like mine and you have to keep record of what you send you have it. And one of the coolest features is the widget you can embed on your website. You may have some who don't want to opt-in to using their cellphone, they can still get all the info via the widget. Definitely explore their website and blog for loads of great information. Their Youtube channel is especially helpful with lots of how-to videos. Do you have open house coming up? Go ahead and set up your class and have the information ready for students and parents to join. You can get a jump start on communicating even before the school year starts. Then you can stay in touch all year long, easily and simply, with Remind101. This is the ninth post in my Summer Learning Series. These are short posts with tools, tips and resources for you to try something new this summer or something you can take to the classroom in the Fall. First was Collaborative Learning With Edmodo and then we followed up with Learning With Hashtags. Then we looked at TED Talks. We moved on to Twitter chats. Then our last post looked at some pretty neat things you can do with YouTube. Then we took a look at Diigo and how to curate the information you are finding this summer. Then we examined the things to consider if you want to use Twitter in your classroom or your school in the coming school year. In the last post we examined a tool I can't live without, Evernote. Now let see how we can automate the internet and take many of the tools in the Summer Learning Series to the next level with If This, Then That. I use a bunch of these. The weather trigger is one of my favorites. Every morning I get a text that tells me what the weather is like and will be like for the day. I also use the Twitter favorites to Evernote recipe to save my favorites. Another Twitter one I use is every time I create a Bit.ly link (either in Twitter or outside of Twitter) it gets backed up to a Google Doc with the date and title of the link. I also back up my pictures shared on Instagram and Facebook to Dropbox and more. There are tons of uses that you can really do a lot with. One of the best parts of IFTTT is the sharing. You can share your recipes you create with the world and use those created by others. The gallery there is a great place to start as newbie because the work is done for you. Then you can experiment with creating your own. This is the eighth post in my Summer Learning Series. These are short posts with tools, tips and resources for you to try something new this summer or something you can take to the classroom in the Fall. First was Collaborative Learning With Edmodo and then we followed up with Learning With Hashtags. Then we looked at TED Talks. We moved on to Twitter chats. Then our last post looked at some pretty neat things you can do with YouTube. Last week we took a look at Diigo and how to curate the information you are finding this summer. Then we examined the things to consider if you want to use Twitter in your classroom or your school in the coming school year. Today we look at a tool I can't live without, Evernote. I have to be one of the most unorganized people on the planet. I have notebooks in just about every bag I carry. Multiple calendars and I still miss appointments. Slips of papers as reminders with some string of illegible thoughts on them, that, when I find them, I don't have a clue what I was thinking when I wrote them. I have more than 10 different types of projects going on at anyone time. A book, book chapters for others, keynotes to write, presentations to prepare, consulting, product review, and on and on and on. Not to mention my projects with my district. Organization isn't really in my vocabulary. Well, let me say, it wasn't in my vocabulary. But it is now, thanks to Evernote. I had tried Evernote in the past. Installed it and looked at it and couldn't really find a use for it. I would uninstall it and go on my way, unorganized, missing appointments, stressing about putting things together. But that is all in the past. I use Evernote everyday. I can't live without it. So much so, its on every phone, computer and in every browser I come in contact with. To boil it all down. Think of Evernote as this giant filing cabinet. In it you put all the different notes, clips, photos, scans, just about anything. You can organize these notes into notebooks. Really what you use it for is up to you. Here is a small view of some of my current notebooks. So I have notebooks for work, personal and other work I do. And I nest notebooks. I like keeping things separate. That has really helped with my organization. I also use the To-Do notebook as my list of upcoming and current projects and responsibilities. I keep Evernote open on my computer at all times. I never know when I am going to need it or when it could come in handy. Inside one of my notebooks you will see all my notes. Evernote 101- This video from my good friend Josh is a great starting point for folks who want to get started. Evernote For Educators- This Livebinder is packed full of getting started links and ideas for using Evernote with students. Evernote On Classroom 2.0 Live- There was a great webinar all about Evernote and its application in the classroom. Resources From Cybraryman-As always, Jerry has a page for Evernote. 10 Evernote Tips For School-From The Evernote Blog, a great list of things to think about when using Evernote with kids. Evernote For Schools-Just launched, here you can read more about how to get Evernote in your school and read about how other schools are using it. The Complete Guide To Evernote In Schools-A great eBook from my friend Nick, it has everything you need to get started using Evernote in your classroom. One idea for use is portfolios. Because of Evernotes ability to accept lots of different kinds of inputs (text, images, audio, files, PDF, etc) it makes it a perfect edition to the portfolio-based classroom. The same is true with teachers. If you are an administrator, think about it. Since notebooks can be shared, you could create a notebook for each teacher, share it with them, and use that as a place to gather evaluation materials throughout the year. Simple and elegant. Evernote is 100% free. You can download it as many times as you want. There are versions for both Mac and PC and it works on your smartphone too. There are, however, monthly upload limits for things like images and PDFs. You can pay for Evernote Premium (which I do.) that gives you lots more space, the ability to search your PDFs, the sharing option and more. For $45 bucks a year, well worth it if you ask me. Best thing to do now is go download it and start small. Use it for a project or two that you have going on. And I would bet in a month or 2 you will say, just like I do that I can't live without it! Do you use Evernote? How do you use it? What are your favorite resources? Leave some comments below. This is the seventh post in my Summer Learning Series. These are short posts with tools, tips and resources for you to try something new this summer or something you can take to the classroom in the Fall. First was Collaborative Learning With Edmodo and then we followed up with Learning With Hashtags. Then we looked at TED Talks. We moved on to Twitter chats. Then our last post looked at some pretty neat things you can do with YouTube. Last week we took a look at Diigo and how to curate the information you are finding this summer. Today we will examine the things to consider if you want to use Twitter in your classroom or your school in the coming school year. While Twitter is beginning to catch on with many educators, schools are still lagging in their adoption of the platform. But let's think about it. Twitter is a quick and easy tool to let the entire school community know what's going on with you and your students. 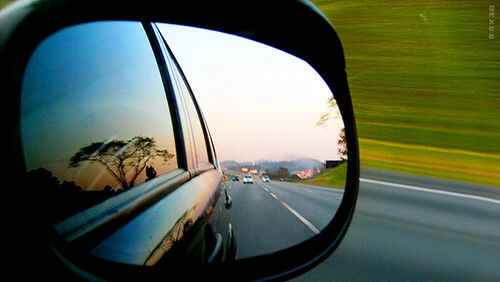 Updates can come from anywhere and users don't have to have a Twitter account to follow along. But where do you start? What are some things to consider? Here is my primer and some advice for schools (and districts) that want to start using Twitter. What do you want to do with this account? What do you hope to accomplish? What do you want to communicate? So, you are going to have a Twitter account. Great! Why? What do you want to tell people? The possibilities here are really endless. But think beyond the basic stuff like picture day and what's for lunch. Consider taking pictures of kids doing collaborative projects or highlighting staff of the month. It can really go beyond all the regular communication and show the community what your school (or district) is all about. Who will be in charge of the account? Will there be just one person who will post or will you have multiple people who post? This is all situation dependent. I would say more than one person is great but too many and things can get out of hand and duplicate information could easily be posted. Keep it simple and experiment to find what works for your group. Will you follow anyone? Again, this is situation dependent. You may want to follow other schools and the teachers in your school but will you follow parents? Students? Community members? If you are just going to be broadcasting following becomes less of an issue. If you want to facilitate interaction then following is important and your group will need to decide some guidelines on who to follow. If someone sends you an @ message, will you respond? Often times your account will get mentioned or someone will send you a question. Your group will need to decide how to handle these questions. My district has a Twitter account but it is a one way conversation. It rarely will respond to questions from the general public. I believe it should be interactive. So take time to get back to folks who need information from you. What's In A Name-Now you are ready to set up your account. 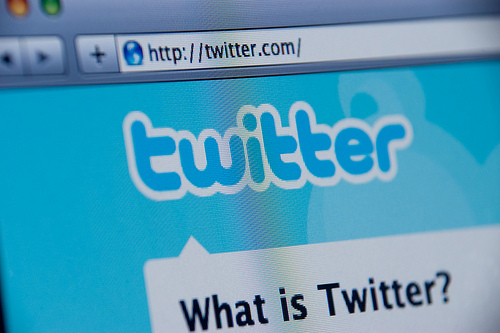 You will need an email address that is not already associated with a Twitter account already. If you can have a generic email set up by the district that is the best way to handle that. Otherwise you will have to find an email address to use. (You could always set up a dummy gmail address as well.) The email address is used to confirm the account and sent notices of DM's and new followers and such. You will want to pick a name that is easy to remember and is your school's brand. This is the point where you will define who your school will be on Twitter. Remember though, users only have 140 characters to tweet with and if your user name is @RonaldReganHighSchool that doesn't leave a lot for others to tweet with. So maybe you go with @RRHS. Adding your location like town or state doesn't hurt either. Just keep it simple. And remember, there are several hundred million Twitter users so don't be disappointed if your first choice for a username is taken. Get creative and find something that can become your brand. Who Are You- A profile will go a long way in letting people know who you are. This is the place you can put in your full school name, location, description and link to your school website. You will also want to put in a picture, either of a mascot or school symbol. That helps other users identify, quickly, who you are. Hashtags- A good idea is to also come up with a hashtag. This will allow you to track conversations even if your account is not mentioned in a tweet. So for example we use in our district, the initials as our hashtag, #wsfcs. The hashtag is good because classes and teachers can send tweets and still reference your school with out mentioning you in the tweet. You can then collect them and retweet them as you see fit. And you don't have to follow everyone either to see what folks are saying. If you have monitors set up near your entrance you can use a program like Twitterfall to display all the tweets coming in on your hashtag. That might also entice folks to check out your Twitter account and learn more about your presence there. Promote- The account does no good if no one knows about it. Let everyone know. Put a widget on your website so every time folks visit they see your updates. Tell parents about it in mailings home. A simple "Follow Us On Twitter" and a link will go a long way into getting folks to see what you are saying. You may also want to make some videos on how to find your updates and what you will be using your account for. But I Don't Want To Be On Twitter-You may find resistance to the idea of a school Twitter account because folks don't want one of their own. That's cool. They don't have to have one. The easiest way to follow updates is to have their own account but they can also subscribe via the RSS feed found on your profile page, subscribe through SMS (text) messages on their phone (they have to have an account for this) or they can add the Facebook widget to their page and see the updates every they visit. And remember, you should have the widget on your school webpage so there are many ways to see the updates without actually your community using the service themselves. There are some other basics you will need, especially if you haven't Tweeted before. 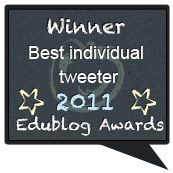 Check out my Twitter In Education Livebinder for the basics. So this summer, if you haven't already, take the time to get a school-wide (or district-wide) Twitter account set up and help connect your school to the community. And if you can think of other things to consider or something I might have left of leave me some comments below.